Not all homeowners have the contact details of an electrician handy when emergency situations strike. In urgent conditions, the frantic search takes place. Well, in all these situations, we recommend you to call the urgent electricians who can help you deal with the electrical issues and bring back your life on the right track. Mentioned below are some of the useful tips that would help individuals hire the best urgent electricians to deal with emergency situations. Ask Around- One of the best ways to find a reliable emergency electrician is to get references from your friends or neighbors. Ask for recommendations and you would get a list of reliable professionals. You can also enquire about the level of customer care, trustworthiness and performance of the electricians. Know What Customers have to say- After when you have got a handful of recommendations, now is the time to scour the Internet. Visit the leading reviewing platforms to know what customers have to say about the services offered by them. Going through the customer reviews would help you find a right electrician that could meet your needs. 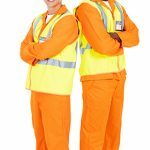 Check Background- It is extremely important to know the background of the electricians whom you are planning to trust the job with. Know if the contractors are licensed by the state or have the appropriate work permits or liability insurances. Performing the background check would ensure you are trusting the job with the right contractors. Get Quotes- Do not make decisions in a rush by trusting the job with any contractor that you come across. Always select 3-4 good contractors and then ask them to send you detailed quotes. 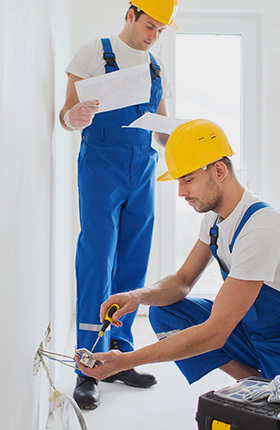 Do not select a contractor on the basis of lowest quotes, but pay attention to all the factors mentioned above while choosing an electrical contractor. Those were some useful tips that would help you find the urgent electricians. Once you have found one, keep the contact details of the electrician handy so that you can call him at the time of the need.